Biblical intercession can be compared to advocacy. Jesus is our advocate, as is the Holy Spirit. We have the privilege as intercessors to also be advocates, bringing peoples cases before God as their representative. Paul tells us to not only look out only for own needs but for the needs of others. do not merely look out for your own personal interests, but also for the interests of others. 10 "I ask on their behalf; I do not ask on behalf of the world, but of those whom You have given Me; for they are Yours; 10 and all things that are Mine are Yours, and Yours are Mine; and I have been glorified in them. 11 "I am no longer in the world; and yet they themselves are in the world, and I come to You. Holy Father keep them in Your name, the name which You have given Me, that they may be one even as We are. 12 "While I was with them, I was keeping them in Your name which You have given Me; and I guarded them and not one of them perished but the son of perdition, so that the Scripture would be fulfilled. 15 "I do not ask You to take them out of the world, but to keep them from the evil one. 17 "Sanctify them in the truth; Your word is truth. 19 "For their sakes I sanctify Myself, that they themselves also may be sanctified in truth. Another great example is given to us by Paul in his letter to the Ephesians. Another biblical example of intercession was when Abraham talked to the Lord about Sodom and Gomorrah and his nephew Lot. 23 Abraham came near and said, "Will You indeed sweep away the righteous with the wicked? 24 "Suppose there are fifty righteous within the city; will You indeed sweep it away and not spare the place for the sake of the fifty righteous who are in it? 29 He spoke to Him yet again and said, "Suppose forty are found there?" And He said, "I will not do it on account of the forty. 11 Then Moses entreated the LORD his God, and said, "O LORD, why does Your anger burn against Your people whom You have brought out from the land of Egypt with great power and with a mighty hand? 12 "Why should the Egyptians speak, saying, 'With evil intent He brought them out to kill them in the mountains and to destroy them from the face of the earth'? Turn from Your burning anger and change Your mind about doing harm to Your people. 13 "Remember Abraham, Isaac, and Israel, Your servants to whom You swore by Yourself, and said to them, 'I will multiply your descendants as the stars of the heavens, and all this land of which I have spoken I will give to your descendants , and they shall inherit it forever.'" 24 And see if there be any hurtful way in me and lead me in the everlasting way. 1. Praise God for who He is, and for the privilege of engaging in the same wonderful ministry as the Lord Jesus. Hebrews 7:25 He ever lives to make intercession for them (His own). Praise God for the privilege of cooperating with Him in the affairs of men through prayer. 2. Make sure your heart is clean before God, by having given the Holy Spirit time to convict, should there be any unconfessed sin. 24 And see if there be any wicked way in me and lead me in the way everlasting. Check carefully in relation to resentment to anyone. Notice the link between forgiveness and prayer in God’s Word. Immediately following the Lord’s Prayer, He says, For if you forgive men their trespasses, your Heavenly Father also will forgive you; but if you do not forgive men their trespasses, neither will your Father forgive your trespasses (verse 14). Mark 11:24 Whatever you ask in prayer, believe that you receive it, and you will. Then comes verse 25, warning us to forgive anyone who has wronged us. 4 and if he sins against you seven times in the day, and turns to you seven times, and says, I repent you must forgive him. 5 The apostles said to the Lord, ˜Increase our faith!” and the Lord said, ˜If you had faith as a grain of mustard seed, you could say to this sycamore tree, Be rooted up, and be planted in the sea, and it would obey you. Job had to forgive his friends for their wrong judging of him, before he could pray effectively for them. Job 42:10 And God restored the fortunes of Job, when he prayed for his friends; and the Lord gave Job twice as much as he had before. 3. Acknowledge you can’t really pray without the direction and energy of the Holy Spirit. Romans 8:26 The Spirit helps us in our weakness: for we know not how to pray as we ought. Ask God to utterly control you by His Spirit, receive by faith that He does, and thank Him. Ephesians 5:18 Be filled with the Spirit. 1. Deal aggressively with the enemy. Come against him in the all-powerful name of the Lord Jesus Christ and with the sword of the Spirit the Word of God. 2. Die to your own imaginations, desires, and burdens for what you feel you should pray. Proverbs 3:5 Lean not unto your own understanding. Proverbs 28:26 He who trusts in his own mind is a fool. Isaiah 55:8 My thoughts are not your thoughts. 6. Praise God now in faith for the remarkable prayer meeting you’re going to have. He’s a remarkable God and will do something consistent with His character. 7. Wait before God in silent expectancy, listening for His direction. Psalm 62:5 For God alone my soul waits in silence, for my hope is from Him. 11 But My people did not listen to My voice; Israel would have none of Me. 12 So I gave them over to their stubborn hearts, to follow their own counsels, that My people would listen to Me, that Israel would walk in My ways! 13 In obedience and faith, utter what God brings to your mind, believing. John 10:27 My sheep hear My voice and they follow Me. 8. Keep asking God for direction, expecting Him to give it to you. He will. Psalm 32:8 “I will instruct you and teach you the way you should go; I will counsel you with my eye upon you. Make sure you don’t move on to the next subject until you’ve given God time to discharge all He wants to say to you regarding this particular burden: especially when praying in a group. Be encouraged from the lives of Moses, Daniel, Paul, and Anna, that God gives revelation to those who make intercession a way of life. 9. If possible have your Bible with you should God want to give you direction or confirmation from it. Psalm 119:105 (NASB) Thy Word is a lamp to my feet and a light to my path. 10. When God ceases to bring things to your mind to pray for, finish by praising and thanking Him for what He has done, reminding yourself of Romans 11:36, For from Him and through Him and to Him are all things. To Him be the glory forever! Amen. Another area of intercession is prayer walking. Prayer walking is usually made together by a group of believers for the primary purpose of intercessory prayer on location. I led a team to do that last year in Bangkok. It was exciting to walk around the outer perimeter of the classroom seven times, blow the trumpets and shout as Joshua and the children of Israel did. We are to pray for those in government authority over us, as well as other authorities and pray for the unsaved. We need to pray for our YWAM leaders and our church leaders. 2 for kings and all who are in authority , so that we may lead a tranquil and quiet life in all godliness and dignity . 3 This is good and acceptable in the sight of God our Savior, 4 who desires all men to be saved and to come to the knowledge of the truth. 17 Elijah was a man with a nature like ours, and he prayed earnestly that it would not rain, and it did not rain on the earth for three years and six months. 18 Then he prayed again, and the sky poured rain and the earth produced its fruit. Ezekiel 22:30 (NIV)"I looked for a man among them who would build up the wall and stand before me in the gap on behalf of the land so I would not have to destroy it, but I found none. The Bible in Basic English (BBE) says, "take his station in the broken place before me for the land" Where ever I go in the world there are broken places and broken people. Oh Lord use me to stand in the gap to help others. I realize that there really is only One who can truly stand in the gap for mankind. I thank God He did find a Man to stand between my sin and a holy God. I have prayed most of my life even long before I became a Christian and I have felt that God has spoken to me or led or guided me numerous times, but still in prayer usually it is just a one-sided conversation. I believe God wants more of a two-sided conversation not limited to His Word and occasional intermittent guidance but much more day to day. What a challenge to filter out what voice inside is God's? What is mine? What is the enemy's? 27 and He who searches the hearts knows what the mind of the Spirit is, because He intercedes for the saints according to the will of God. who is the one who condemns? 34 Christ Jesus is He who died, yes, rather who was raised, who is at the right hand of God, who also intercedes for us. Hebrews 7:25 (NASB) Therefore He is able also to save forever those who draw near to God through Him, since He always lives to make intercession for them. Isaiah 53:12 (NASB) Therefore, I will allot Him a portion with the great, And He will divide the booty with the strong; Because He poured out Himself to death and was numbered with the transgressors; Yet He Himself bore the sin of many and interceded for the transgressors. I was reminded this week that there really are spiritual battles going on all the time. Satan is the prince of this world right now and he has done much to blind people’s eyes. We must pray that God's light will pierce the darkness. The Enemy wants us to think the things God wants are not so. I had previously been proud of my independence, thinking it was a good thing, and thinking that those who always bowed to all authority, or who seemed so dependent upon groups or teams were just weak and foolish. I began to value team work several years ago as a pastor but still found that is an area in my life that needs some more attention. Prayer is a battle. The heart of worship and prayer has to be cultivated. There are more than 100 billion galaxies, perhaps as many stars as the sand of the sea. 1 O LORD, our Lord, How majestic is Your name in all the earth, Who have displayed Your splendor above the heavens! God is infinite, intricate, humble, immeasurable, omnipresent, creative, omnipotent, eternal, indescribable, love, the Alpha and Omega, exciting, amazing, precise, personal, Most High, sovereign, faithful, sustainer, concerned with the macro and the micro, beyond imagination, and spectacular. Revelation 12:11(NASB) "And they overcame him because of the blood of the Lamb and because of the word of their testimony, and they did not love their life even when faced with death. Prayer is a way we represent God to others and others to God. Here we see miraculous multiplication. The fruit of thankfulness is peace of mind. Thanksgiving releases harvest. Thankfulness causes us to focus on God rather than on our circumstances. It is quite cumbersome to try to use Joy Dawson's prayer formula every time you pray in a group. Instead of trying to follow this prayer formula, I would suggest taking prayer requests from the school, from the base, from other YWAM bases and praying for specific needs mentioned by individuals during this week on intercession. We could name the 75 or so countries in Indian Ocean gateway and pray over each nation. We could show video clips of specific needs in countries, like Algeria that we had on Friday night. We ought to pray as Jesus taught us in the Lord's prayer. 9 "Pray, then, in this way: 'Our Father who is in heaven, Hallowed be Your name. 10 'Your kingdom come. Your will be done, On earth as it is in heaven. The first and most important thing is to praise God, acknowledging who God is and thanking Him for what He has done. Second is praying for the purpose of God to come in your life, family, church, country, and the world by asking God for His will to be done. Third, you can ask for provision, for God to meet your daily needs. Jesus also taught us to pray for purity, that God would forgive us our sins just as we forgive others who sin against us. We are to also pray for protection and deliverance from the Devil. And fourth, we set our priorities when we acknowledge to God that "Yours in the kingdom, the power, and the glory." As we watched the Moody Bible Institute film clip on space travel at the speed of light, I was reminded God is infinite, intricate, humble, immeasurable, omnipresent, creative, omnipotent, eternal, indescribable, amazing, precise, the Most High, sovereign, faithful, sustainer. As Bram said, He is concerned with the macro and the micro. God did indeed stretch out the heavens. Thinking of praise and worship and their relationship to prayer I was reminded of my favorite Psalm. 3 O magnify the LORD with me and let us exalt His name together. 21 Evil shall slay the wicked, And those who hate the righteous will be condemned. 22 The LORD redeems the soul of His servants, And none of those who take refuge in Him will be condemned. There is a connection between worship and prayer and spiritual warfare. Be sure to focus on Him rather than my circumstances. When we watched the Impact World Tour promotion video, we were challenged to write down the names of God that came to mind. I just saw and heard needs in the city. 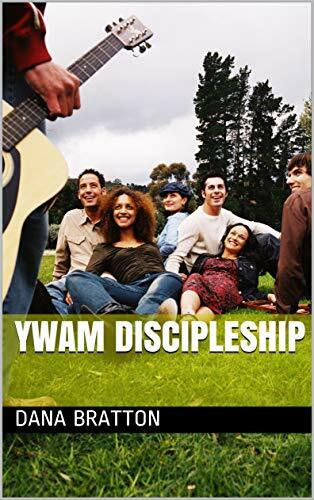 That there are 1.4 million people, young people 10 to 25 make up 35% of the population, only 5 % of those go to church, so 470,000 are unchurched. There are many who are hopeless and even suicidal like Pete's nephew. There are needs for more volunteers, more local churches to be involved, for visas, for money. But the challenge was a good one, fellow students came up with many names and attributes of God which addresses the needs mentioned. So, I need to focus more on God rather than on the needs. I can't see the Forest for the trees. I won't complain when encouraged to stand in spite of leg and back pain, because soldiers don't sit down in battle. I will try to focus more on God rather than my own needs. The focus must be on Him. Like Peter walking on the water, he was fine when his eyes were focused on the Lord but when his focus was on the waves he was going down. I will pray for the needs of others.